We get samples from time to time here at the office, of cool new promotional products. Some definitely grab our attention more than others. We especially perked up a couple weeks ago, with the arrival of these custom Sharpie marker samples! What I particularly love about the Sharpies is that they are so unique and so easily recognizable. 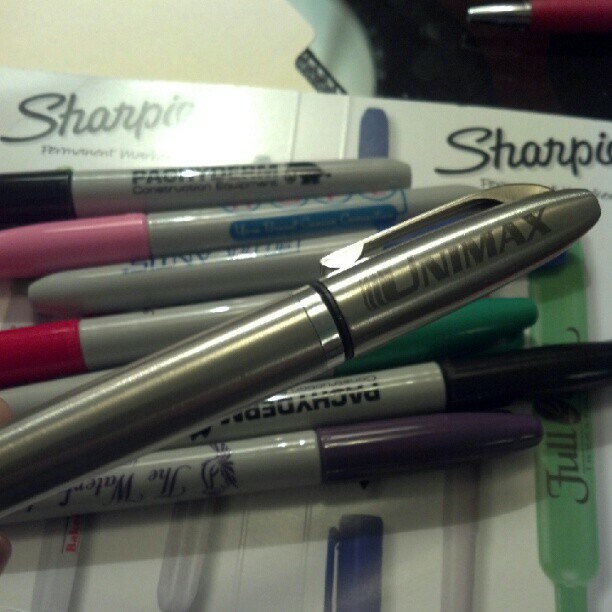 Options include the traditional marker in a variety of colors, the new “Sharpie pen,” and my favorite, the stainless steel Sharpie marker. It comes with a laser engraving imprint and is refillable. What’s your favorite type of pen? Tell us in the comments below!